The OSQ Area/Flood luminaire blends extreme optical control advanced thermal management and modern clean aesthetics. Built to last, the housing is rugged cast aluminum with an integral weathertight LED driver compartment. Versatile mounting configurations offer simple installation. 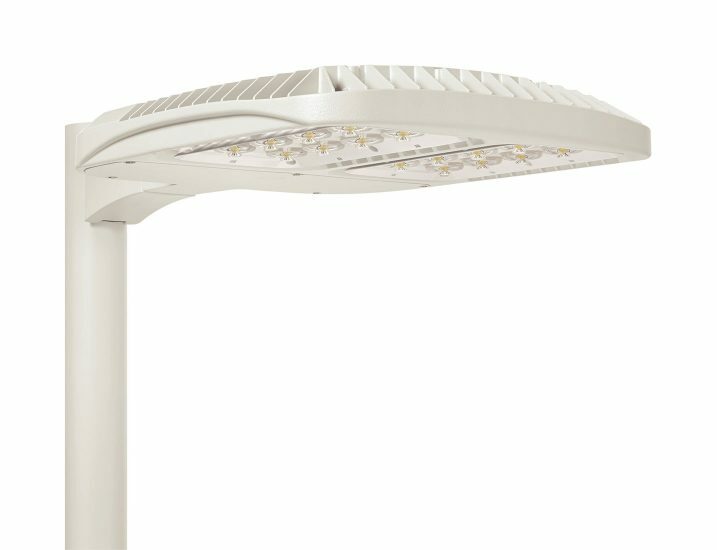 Its slim low-profile design minimizes wind load requirements and blends seamlessly into the site, providing even quality illumination. Now delivering up to 62 percent more efficacy than the first generation at 139 lumens-per-watt (LPW) for increased energy savings and more lumens to enable new applications.